Containing hundreds of stunning photographs by Yves-Jacques Rey-Millet, A Photographic Guide to the Birds of the Cayman Islands, the latest addition to Helm's Photographic Guides series, provides full photographic coverage of every species on the Cayman Islands list. 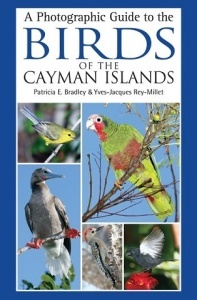 Concise text for each species includes identification, similar species, voice, habitats and behaviour, status and distribution. This guide is an essential companion for anyone visiting these beautiful islands.